The cast of Betroffenheit. Photo: Wendy D Photography. 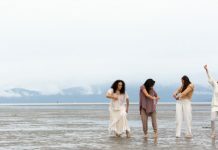 Ten years ago, a small group of individuals were determined to bring international dance to Vancouver. From their passion, DanceHouse was born. To celebrate its tenth anniversary, DanceHouse presents a 2017/2018 season of new and familiar works. Each of the five shows in the coming season have been chosen to celebrate an aspect of DanceHouse’s history. 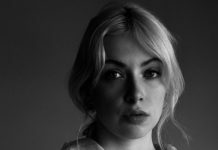 Among the five-show season are international works, a world premiere by an emerging Vancouver artist, plus the return engagement of Betroffenheit. As Finland celebrates its centennial, it seems fitting the first show of the DanceHouse season comes from that country’s Tero Saainen Company. From Finnish choreographer Tero Saarinen comes Morphed (Oct 27 & 28), a piece for seven male dancers borrowing from casual street dance, Gene Kelly musicals, and classical 19th century and modern dance. As part of our country’s Canada 150+ celebrations, DanceHouse partners with SFU Woodward’s Cultural Programs & School for the Contemporary Arts with the world premiere of Action at a Distance (Nov 23-26). In this new work, Vancouver’s Vanessa Goodman draws inspiration from the work of Canadian icons Marshall McLuhan and Glenn Gould. In the new year, Toronto Dance Theatre honours its 50th anniversary with the retrospective program House Mix, showcasing five diverse works by choreographer Christopher House. The program features a repertoire of pieces from the Toronto company’s half century. 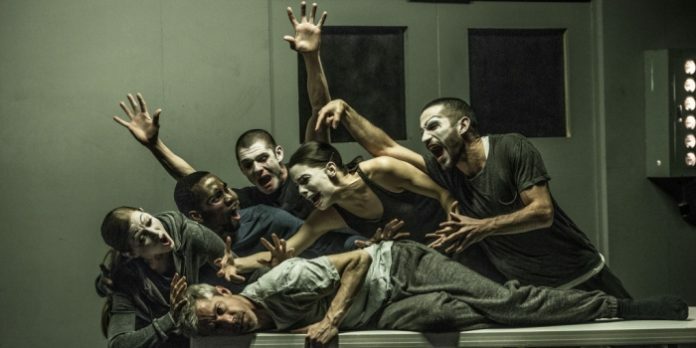 March sees the return of the dance/theatre hybrid Betroffenheit (Mar 16 & 17). A collaboration from Kidd Pivot’s Crystal Pite and Electric Company Theatre’s Jonathon Young, since first appearing in Vancouver last year, Betroffenheit has gone on to worldwide acclaim. A German word describing a state of shock and bewilderment encompassing one in the wake of a disaster, it is a very personal examination of grief. Closing out its 2017/2018 season, DanceHouse presents Triple Bill (Apr 13 & 14) from New York-based Dorrance Dance. The program of three works includes Jungle Blues, set to a score by jazz saxophonist and band leader Brandford Marsalis, and Three to One featuring the music of the Aphex Twin and Thom Yorke. For more tickets and more information on the DanceHouse 2017/2018 season visit http://dancehouse.ca.